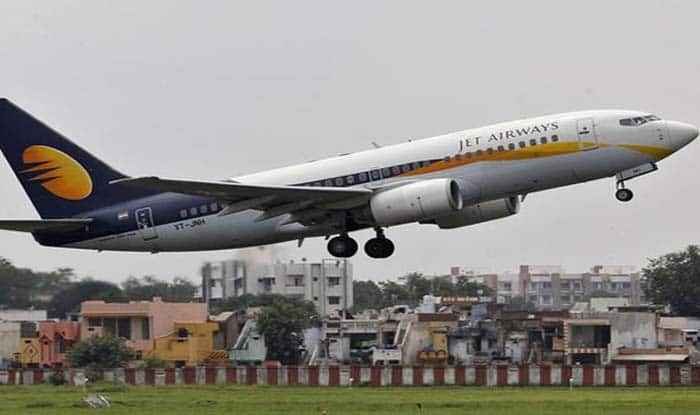 The Jet Airways, which is flying just six-seven aircraft has asked its lenders to grant some interim funding. New Delhi: Employees of Jet Airways, including pilots, flight attendants and ground staff, demonstrated outside Terminal 3 of the Indira Gandhi International Airport against Jet Airways’ management over non-payment of their salaries. The airline, which is flying just six-seven aircraft has asked its lenders to grant some interim funding. Its employees are expecting to be paid their pending salaries once the fresh funding comes through. Employees of Jet Airways carried banners that read “Save Jet Airways, Save our future” and “Hear our cry, Let 9W fly”. 9W is the code for Jet Airways flights, just like 6E is for IndiGo flights. On Friday, Jet Airways employees took out a silent march in Mumbai. Civil Aviation Secretary Pradeep Singh Kharola had earlier said that the airline would fly just 6-7 aircraft on Saturday and Sunday. At its peak, the airline flew a 119-aircraft fleet.